Come home to this wonderful 2+2 unit at The Met where you will enjoy resort style amenities all within an immaculate guard gated community. Relax and experience all that the sprawling complex offers - 4 pools, a state of the art fitness center, indoor basketball and racquetball courts, as well as 6 outdoor tennis courts with lights. You also have the convenience of an on site management office for the HOA. Buildings have elevators and covered parking for your convenience. 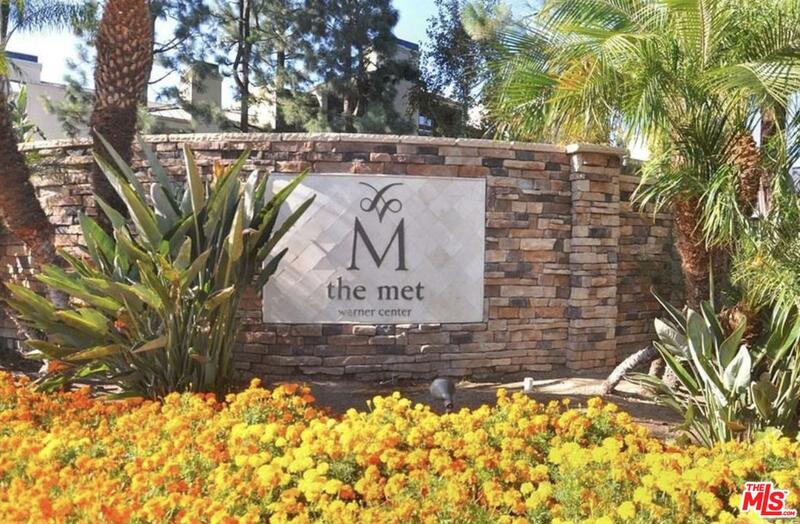 The Met is located for you to enjoy all that Woodland Hills offers...entertainment, shopping, restaurants, and community activities right outside your gates. Please send more information about 5510 OWENSMOUTH, Woodland Hills, CA 91367. Thank you.